Dynegy announced today that it would propose legislation with the Illinois General Assembly that would transition the entire state into PJM. If passed, the Illinois Electric Generation Reliability Act would move the Commonwealth Edison and Ameren service areas in Central and Southern Illinois from MISO Zone 4 into the PJM power market. ComEd, an Exelon subsidiary, also serves load in the Chicago area, which is part of PJM. “Illinois legislators have a great opportunity to take control of an issue that is debilitating communities across the state while at the same time bring lower power prices to consumers through a more efficient market design that can exist throughout the state,” Flexon said. Illinois is the only state in MISO’s territory that fully offers retail choice. (Michigan currently allows 10% of its load to choose their suppliers.) The bifurcated nature of the state has caused controversy. According to Dynegy, Illinois legislators and labor leaders, including Senate Majority Leader James Clayborne and two Illinois branches of the International Brotherhood of Electrical Workers (IBEW), support the transition. Clayborne pointed to MISO’s unpredictable results in the last two annual capacity auctions and said the legislation would remedy the “huge gap” in how generators in different regions of the state are compensated. Clayborne said that bringing downstate Illinois into the deregulated fold will bring congruity to the state. Spokesmen from IBEW 702 and IBEW 51 said the bill will protect customers from high scarcity pricing, uphold statewide electric reliability and preserve jobs by stopping premature plant closures. 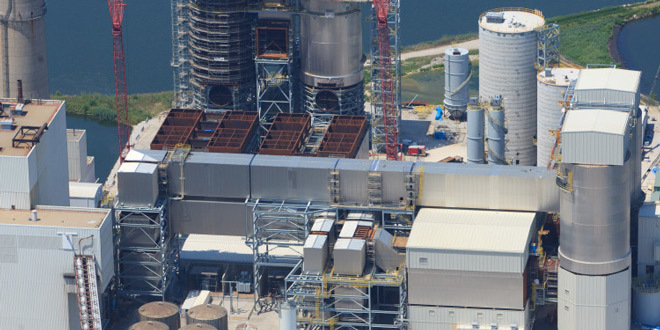 Exelon, Illinois’ other power-producing giant, also is seeking relief from state lawmakers. The utility is seeking low-carbon-emissions subsidies for nuclear generators in order to keep its cash-strapped Quad Cities plant operational through 2032, when the plant’s license expires. The General Assembly’s legislative session ends May 31.